California Science Teacher Association (CSTA) - Join Us! Nov 30, 2018 California Science Teacher Association (CSTA) - Join Us! The California Science Education Conference is hosted and organized by the California Science Teachers Association (CSTA). The annual event takes place over 2 ½ days, Thur, 3:00 am -- Sat, 1:00 pm. Over 1,800 science educators from around the state are expected to attend this year's conference. Join us at this year's California Science Teacher Asssociation Conference (CSTA) November 30- Dec. 2 2018! 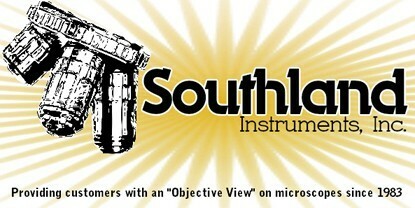 Southland Instruments, Inc. will be showcasing what's new in microscopy and how it can help teachers present and share their lesson plans "wirelessly." The "Digital Classroom" is here and we can help you incorporate it into your school. Come by our booth to get some indepth insight on this new revolution in microscopy. We will spend time with anyone wanting to learn what works and what doesn't in the digital classroom, helping them put together a plan that will be easy to incorporate. The California Science Education Conference is hosted and organized by the California Science Teachers Association (CSTA). The annual event takes place over 2 ½ days, Thursday 3:00 pm -- Saturday 1:00 pm. Over 1,800 science educators from around the state are expected to attend this year's conference. The CSTA Conference is well-known by science educators as the place to make connections, generate new ideas, energize their teaching, and learn, and grow as professionals. With the adoption and progressing implementation of the Next Generation Science Standards for California and the rising demand for a quality STEM education, the California Science Education Conference offers a unique and valuable opportunity for all California science educators. We invite you to join us this year. The California Science Teachers Association is a professional organization of science educators in California, whose mission is to promote high quality science education. CSTA advances this mission through its advocacy work in state level policy and legislative bodies; publishing a monthly newsletter California Classroom Science; offering opportunities for members to connect; and providing quality professional development opportunities to California's science educators. Classroom science teachers (Pre-K-12) science specialists, science coaches, district and county science coordinators, home school educators, preservice science teachers, university and college science teacher educators, and informal science educators. The conference will be held in Pasadena, Calif.
© 1983 - 2019 Southland Instruments, Inc.. All rights reserved.